We have redesigned the app from the ground up to be more user-friendly, more reliable and have a clean and modern design. You should be automatically logged in to the new app once you have downloaded and opened it. If you cannot log in to your account, tap the ‘Trouble logging in?’ link to reset your password and access your account. 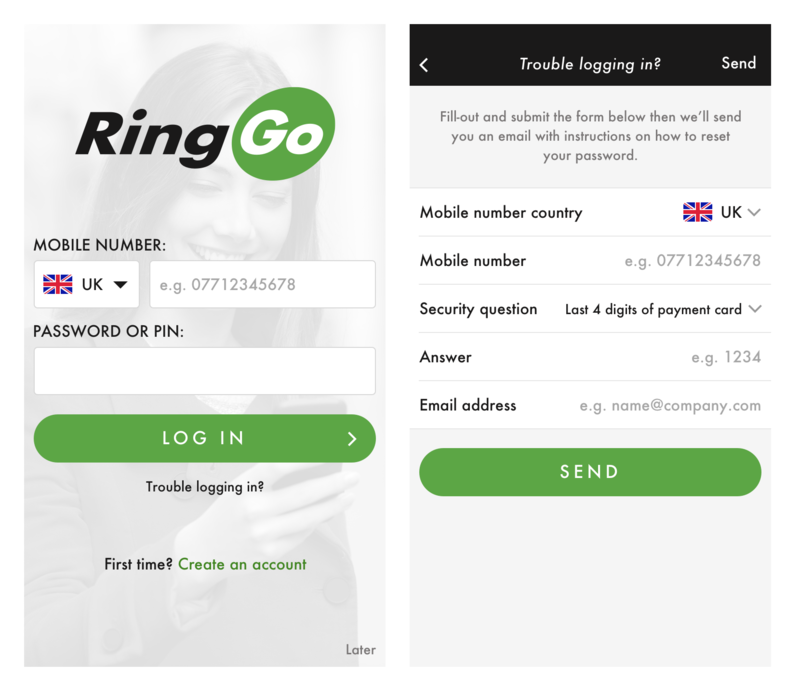 If you are a new customer, you will need to register before you can use RingGo. This screen has been optimised by removing unnecessary fields and always showing field labels. You must set your password during registration, too. 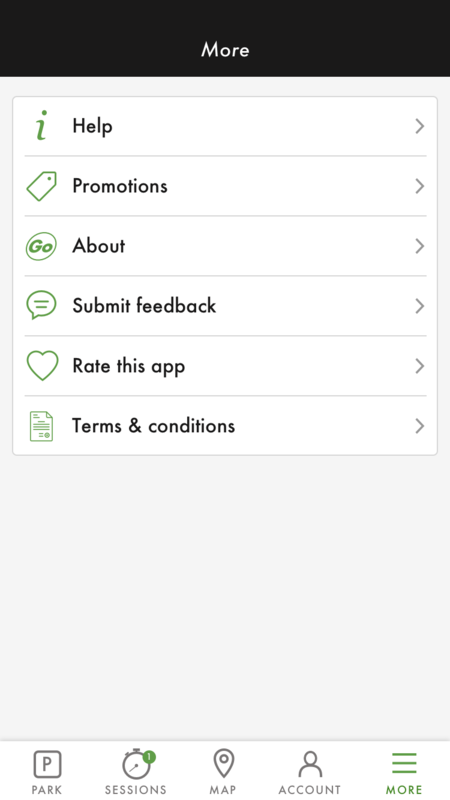 Upon entering the app for the first time, you will be shown a selection of screens with the app’s key features. 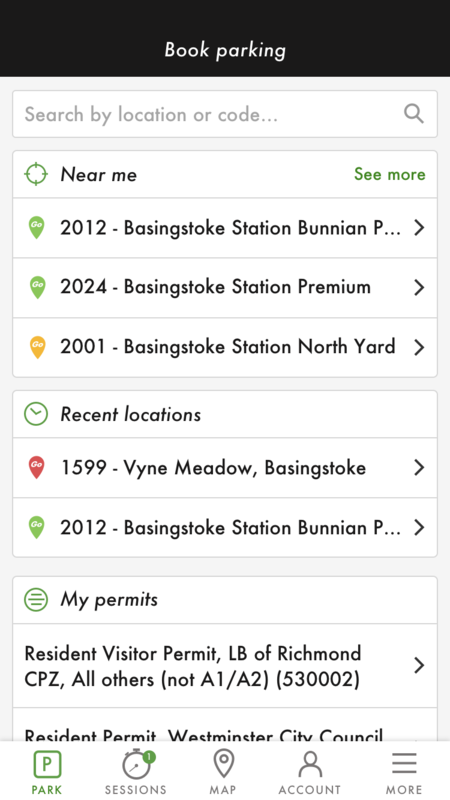 The look and feel of the app has had a full makeover – colour, typography and layout have all been improved dramatically. The nearest three RingGo locations to you are listed under the search, saving you from searching for a location when stood in a car park. Navigation is now at the bottom of the screen providing instant access to the four main areas of the app. Other options can be found if you select ‘More’. The process of booking a parking session is now in one easy, segmented screen. Simply choose your vehicle, duration and payment method, then tap ‘Book parking’. 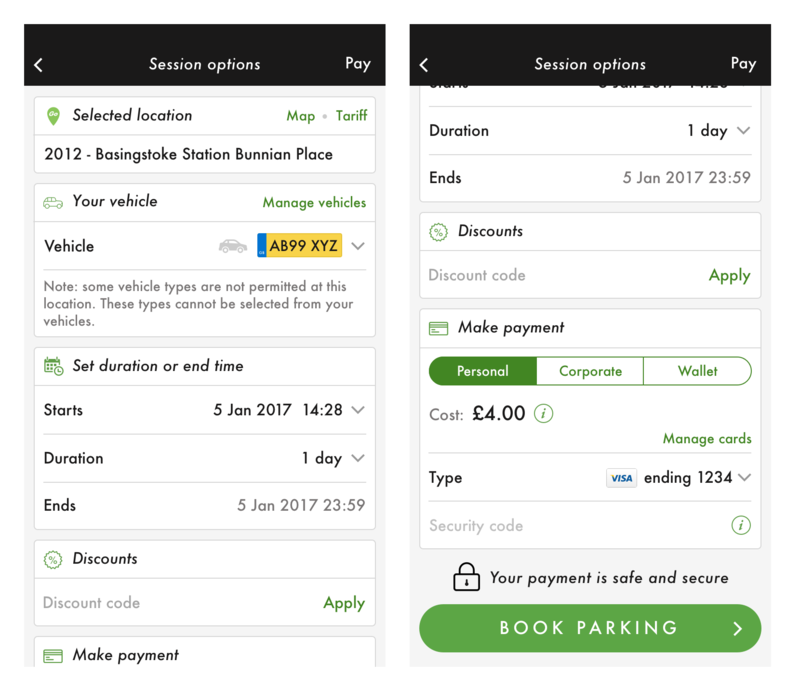 Your parking sessions are grouped into three types – ‘active’ are running, ‘scheduled’ are booked but haven’t started and ‘finished’ have expired. 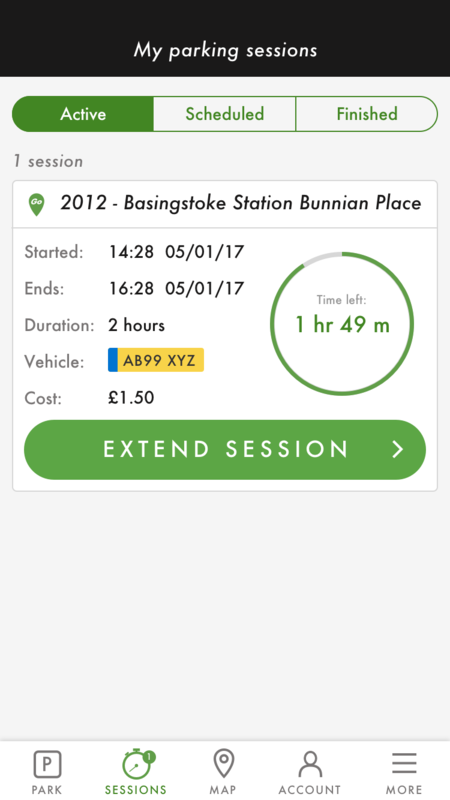 If you need to extend either an ‘active’ or ‘scheduled’ session, simply tap the relevant tab and press ‘Extend session’ to pay for the extra time you require – there’s no need to return to your car. Use the searchbar to the left of the magnifying glass to find RingGo locations either by name or location code. Each location is marked with an icon that determines the parking availability. Tap ‘See on map’ to view the results on a map and navigate to them, if necessary. You can also use the ‘Map’ screen to browse or search for RingGo locations across the UK and see them on a map. Then just choose a location flag to view the details. 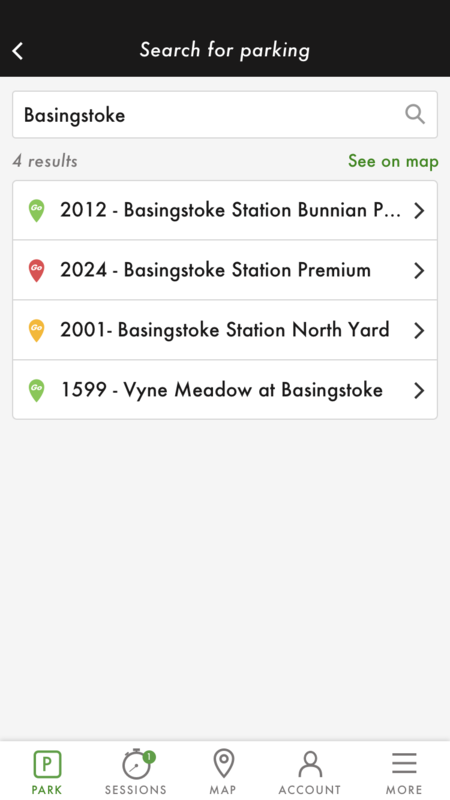 Alternatively, tap the list view button to see the locations as a list – useful for comparing details of several locations. If you tap the map’s cog button (above the ‘Unknown’ tab) you can view additional map options. The main set of options here are the parking availability toggles, which allow you to hide locations from the map based on their parking space availability. 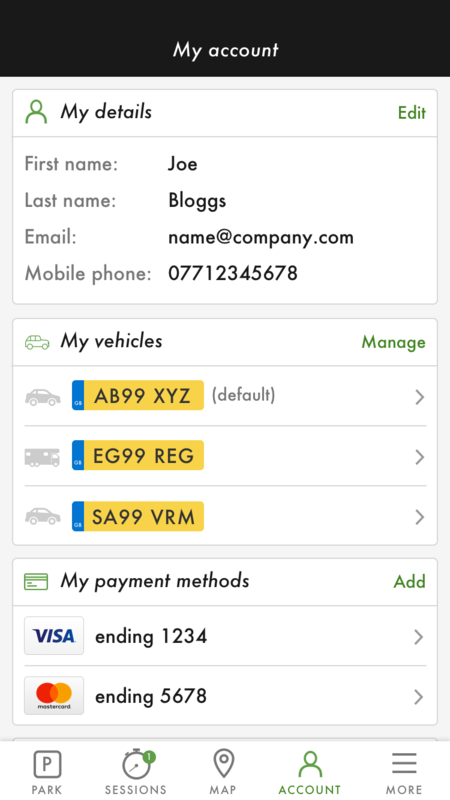 The ‘Account’ tab contains your details, vehicles, payment methods and preferences. Use this section to edit a vehicle, add a payment card or enable SMS notifications, and much more. You can add unlimited addresses and vehicles but you are limited to three payment cards. Whether you need help using RingGo, want to learn a bit about us or would like to give us feedback on the app, you’ll find everything else by tapping ‘More’. Having difficulty using the new iPhone app?